Buen Vivir (living well) is one of the most innovative ideas influencing national development perspectives in Latin America today, reflecting the indigenous contribution to collective construction of an alternative society. 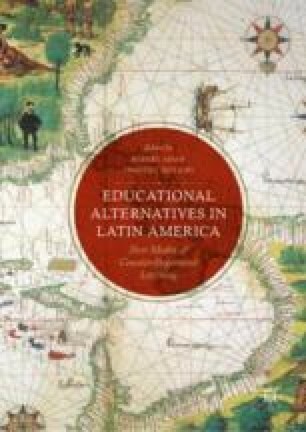 This chapter focuses on two countries—Ecuador and Bolivia—that have incorporated Buen Vivir’s principles in their Constitutions, and discusses how education is employed for fostering the values of Buen Vivir and interculturalism, and how gender is framed in this egalitarian philosophy. Following a description of Buen Vivir’s philosophy, as stated in official documents and discourse, the chapter proceeds to trace actual changes in both government structures and education programs. Relevant changes are occurring in both countries after several years of implementation, yet serious challenges linked to economic and political forces must be faced. I thank Daniel Mato and Timothy Ireland for their useful comments. Gobierno de Ecuador. (2008). Constitución Política de la República del Ecuador. www.oas.org/jurídico/spanish/mesicic2_ecu_anexo15.pdf. Goldentul, A. (2012, December). Aportes, ideas y problemas en Aníbal Quijano y Orlando Fals Borda: una lectura posible desde la descolonización del saber. Buenos Aires: Facultad de Ciencias Sociales, Universidad Nacional de Buenos Aires. http://jornadassociologia.fahce.unlp.edu.ar. Secretaría del Buen Vivir. (n.d.). El Buen vivir se expande en América Latina. Gobierno del Ecuador. www.secretariabuenvivir.gob.ec/el-buen-vivir-se-expande-en-america-latina/. Secretaría Nacional de Planificación y Desarrollo. (n.d.). El buen vivir se consigue con igualdad de género. Gobierno del Ecuador. www.planificacion.gob.ec/el-buen-vivir-se-consigue-con-igualdad-de-genero/. Solón, P. (2014). Systematic alternatives. Vivir Bien. Notes for the Debate. www.guteslevenfueralle.org.